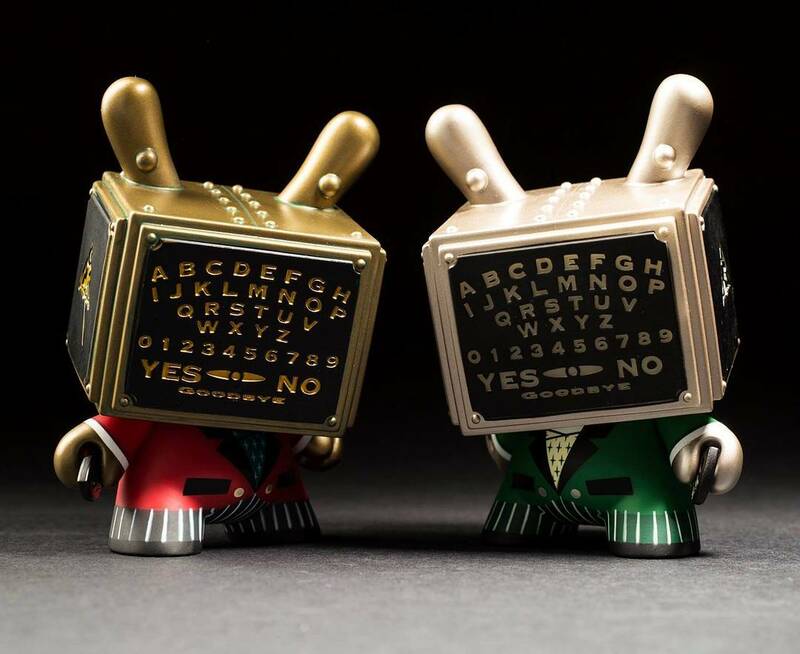 Today marks Kidrobot’s long awaited release of the Talking Board 5” Dunny by Doktor A! Inspired by the classic Ouija board, Dok A’s Talking Board Dunny will help collectors connect with those who have passed into the ether or maybe answer some extremely pressing questions. 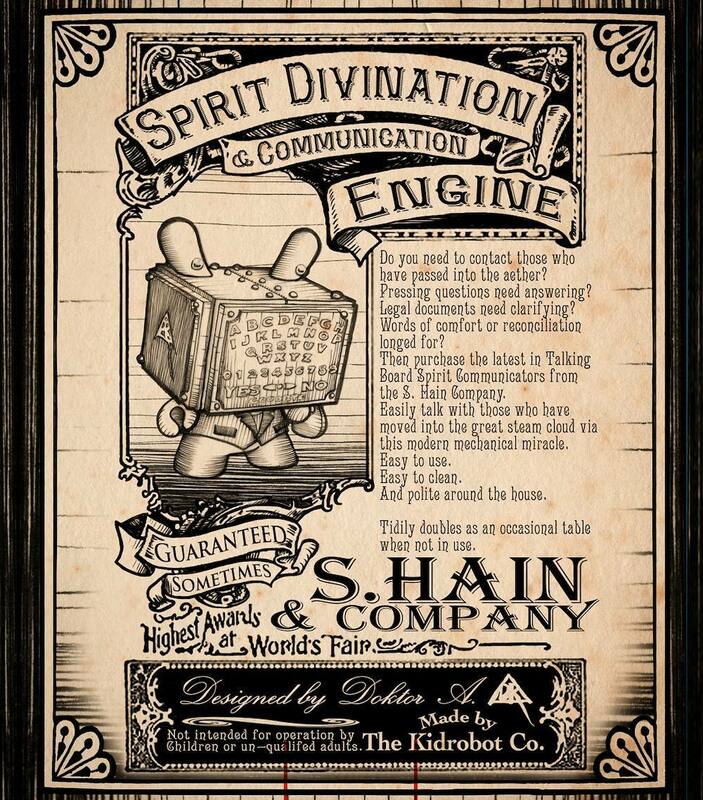 The Blot’s a huge fan of Doktor A’s steam punk esthetic and the Talking Board Dunny is the perfect addition to his ongoing Mechtorians toy line. 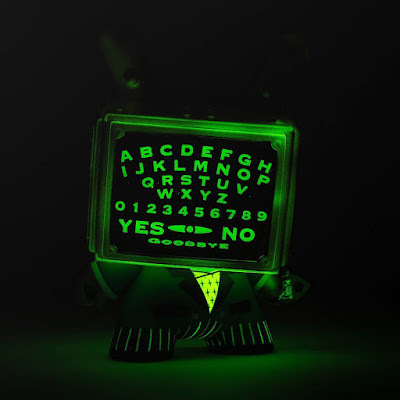 The Talking Board Dunny 5” vinyl figure goes on sale today, Friday, August 24th. The “Sunday Best” red colorway is limited to 1,000 pieces and can be ordered now at Entertainment Earth for $39.99 here. 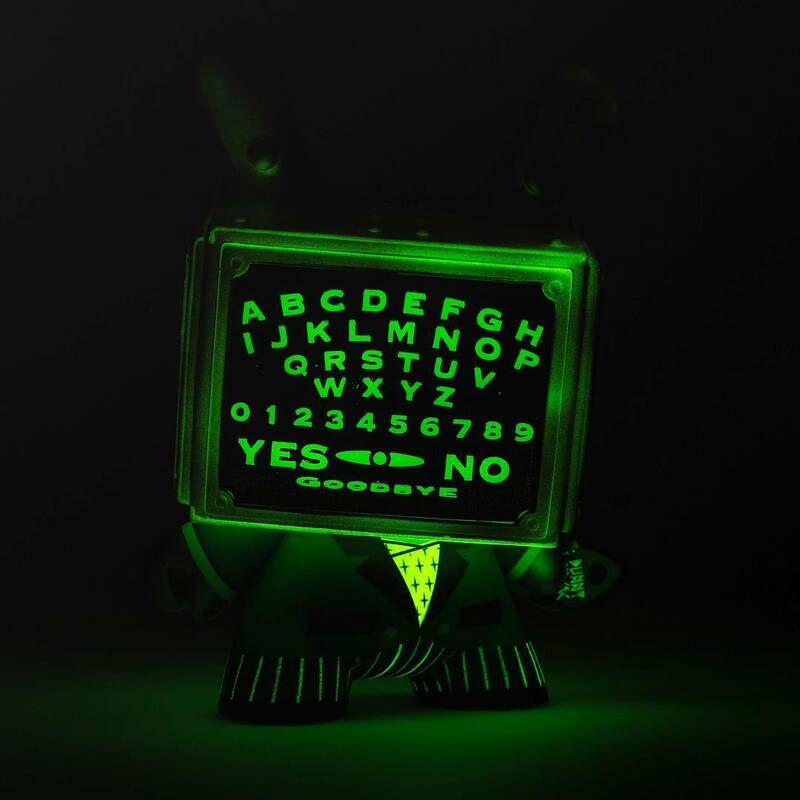 There’s also a Kidrobot.com Exclusive Glow in the Dark green edition that's limited to just 200 pieces. 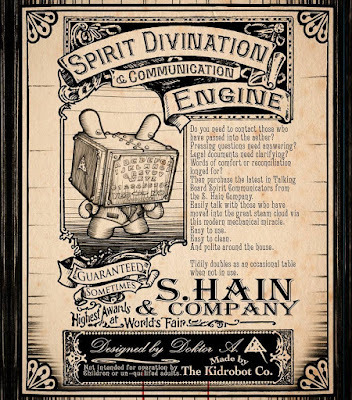 It's perfect for nocturnal transmissions from beyond!